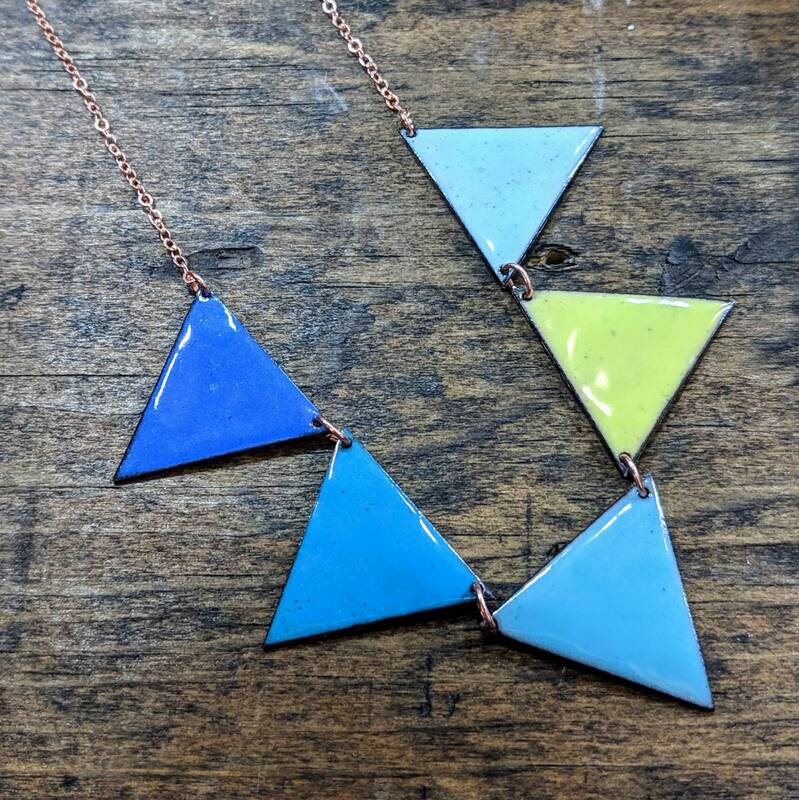 This stunning accent piece features 5 large (1" by 1")enameled copper flags. Customize this piece to your liking, using anywhere from one to five colors. Available in any combination of the following colors: red, orange, yellow, pale yellow, chartreuse, green, pale green, light blue, sea foam, turquoise, bright blue, lilac, purple, navy, black, or white. Please specify color and order of colors when ordering.